﻿﻿The Third grade Waldorf curriculum includes gardening, farming, studying the Old Testament and celebrating Jewish Festivals. Here we celebrated Tu B’Shevat, the Jewish Festival that beckons Spring by planting a tree at mid-Winter as well as symbolically planting their healing intentions through sacred mandalas. Students created Sacred Circle drawings of their heart’s wishes for the Earth and her creatures. 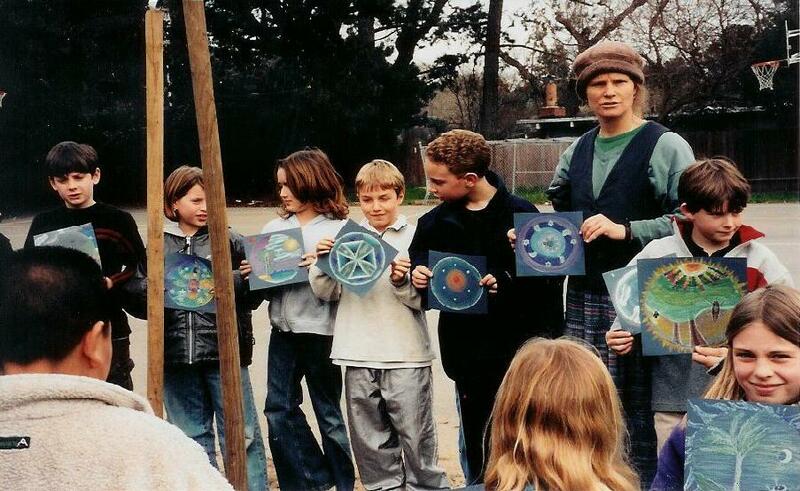 These 7 and 8-year olds lovingly spent 4-8 hours on their Mandala drawings. They then planted a persimmon tree to symbolically plant these healing visions. The 3rd grade project inspired the 5th grade to also participate. In conjunction with California Arbor Day, the Marin Waldorf Fifth grade class combined art with gardening and community revitalization. This project-incorporated curriculum from the fifth grade including Botany, Geometry, Hindu and Buddhist traditions. All of these curricula explore aspects of relationships (biological, mathematical, and spiritual). four hour-long meetings, they created Mandala drawings to symbolize their visions of healing for their relationships with friends, family or the Earth. CELEBRATING TU B'SHEVAT: The 3rd grade Waldorf curriculum includes gardening, farming, studying the Old Testament and celebrating Jewish Festivals. Here we celebrated Tu B’Shevat, the Jewish Festival that beckons Spring by planting a tree at mid-Winter. 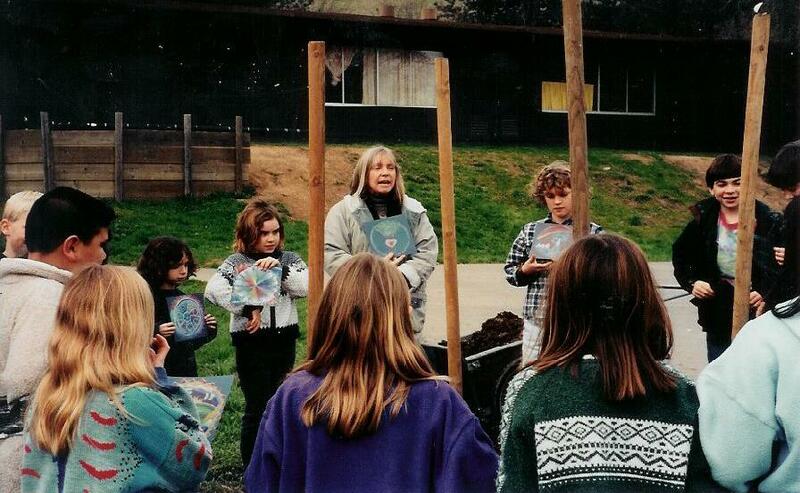 For more community projects: Spirit Rock Metta Mandalas & Garden, 911Peace Mandala, Plant Your Heart in the Valley , Two Diverse 5th grade Schools and others, please click here.